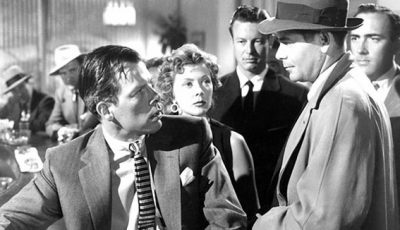 A Columbia Pictures release from the 1950s exploits the grim topic of domestic violence, but fails to offer any real solutions for it. Mark Fraser looks back at a work which, in hindsight, might have gotten a few of its dramatic priorities wrong. 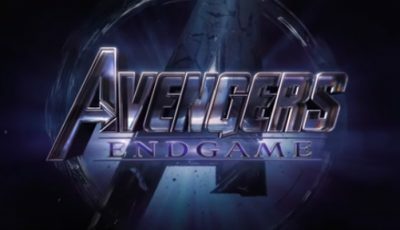 WARNING: This review contains a major spoiler. While femme fatales usually get what they deserve in film noir movies, it’s arguable the one in Fritz Lang’s black and white 1954 melodrama Human Desire doesn’t. 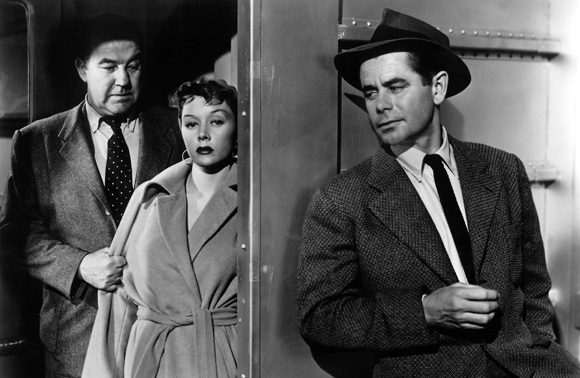 The expendable woman in question is Vicki Buckley (Gloria Grahame), the younger spouse of the heavy drinking, wife hitting, rail yard supervisor Carl (Broderick Crawford), who makes the fatal mistake of helping her husband get his job back after he (off screen) gets the sack for losing his short-fused cool with the yard master John Thurston (Carl Lee) following a freight mishap. In an act of desperation, Carl convinces his better half to visit John Owens (Grandon Rhodes) – one of the railway’s biggest shippers – and ask him to use his influence, knowing full well that she once lived in Owens’ house when her mother worked as his housekeeper. 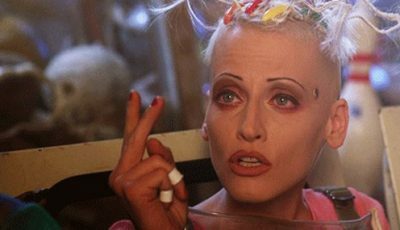 Although at first reluctant to do so due to reasons explained later in the movie, Vicki eventually agrees with the plan and travels to the city (by train) to speak to her mum’s former boss in person. In doing so, she makes her second big mistake – she takes hubby along for the ride. As Carl waits impatiently in her friend Jean’s (Peggy Maley) apartment, Vicki goes to Owens’ office to seal the deal. When she’s away for five hours, though, it dawns on him that they did more than just talk. In a fit of jealous rage, Carl – with his femme fatale wife in tow – murders and robs the businessman during their overnight journey home (Owens happens to be travelling to Chicago on the same train). It’s at this point that Vicki meets Jeff Warren (Glenn Ford), a locomotive driver and Korean War veteran who she has to divert in order for her husband to leave the crime scene unnoticed. 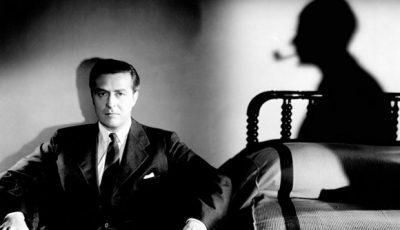 While Lang and his screenwriter Alfred Hayes* have, by this time, gone to reasonable lengths to establish Warren as a decent and respectful guy, he’s extremely quick to make a move on Vicki, kissing her firmly on the mouth after just three or so minutes of light chit chat – a gesture indicating he may not be as virtuous as he seems. Given this is a film noir movie, it’s fairly predictable what happens next. After Carl blackmails his wife into staying with him, she turns to Warren – who has already refused to identify her as being near the crime scene when questioned by the authorities – for help. They eventually become lovers and start plotting to kill the murderous wife beater. One interesting aspect of Vicki’s character is the fact that while she tells a few lies and cheats on her husband (with, as it turns out, two men), she also elicits a certain amount of sympathy, being more a victim of desperate circumstances than an instigator of them. Because of this, it’s arguable that she doesn’t really deserve the fate eventually bestowed upon her during the final reel. After Carl gets the sack, for instance, Vicki suggests they pack up and move east rather than beg the railway company to rehire him. It is also not her idea to knife Owens; nor is it her intention to be an accomplice to his murder. Even the plan to snuff Carl is not totally borne from conniving femme fatale intent – the fledgling idea being fuelled by Warren who, having just returned from the front, tells Vicki that it isn’t difficult to kill a man, a point he later backtracks on after discovering that, as a civilian, it’s not as straightforward as it seems. So while, in typical noir fashion, it’s the woman who plants the homicidal seed, it’s the war veteran who eventually nurtures it. Not surprisingly, Vicki is ultimately seen as something of a dangerous distraction for Warren, particularly as he has gained the serious attention of the younger (read: virginal) Ellen Simmons (Kathleen Case), the daughter of his friends Alec and Vera (Edgar Buchanan and Diane DeLaire), who represents everything a returning soldier would want in a woman. Thus by the film’s end, when Warren has decided not to murder Carl and run off with Vicki, but instead dump her and accompany Ellen to the railroad’s approaching “Annual Dance and Frolic”, it seems he has successfully dodged a bullet, managing to escape the clutches of this damaged female to pursue a more satisfying life. Lang and Hayes, however, don’t let the injustice finish there. 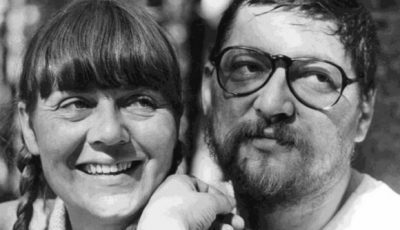 Although Vicki eventually finds the courage to walk out on Carl after successfully stymying his blackmail scheme, she is followed to her train compartment by her brutish husband and strangled to death. Meanwhile, Warren – who is unaware she is a passenger (or that any of this is going on a few carriages back) – sits blissfully in the engine room thinking about Ellen. Not only is he driving the train, but he has practically helped throw Vicki under it. Once again a woman is sacrificed so a man can find his true purpose. *It is based on Emile Zola’s novel La Bete humaine (The Human Beast). Interestingly, during an interview which appears in the extras of the Eureka Entertainment Blu-ray release of the movie, film historian Tony Rayns argues that the Hayes adaptation is not really lifted from the Zola book, but is sourced from Jean Renior’s screenplay of it, which he wrote for his 1938 version of the film. 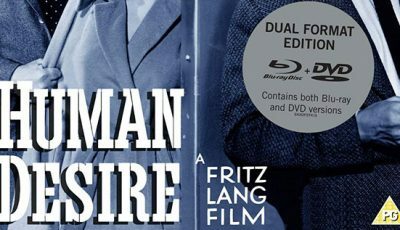 Human Desire was released in the UK on dual format DVD/Blu-ray as part of Eureka’s Masters of Cinema series.